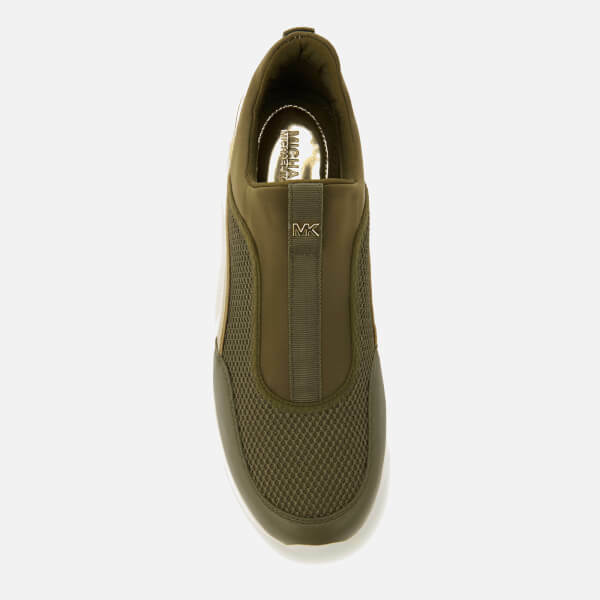 Women’s neoprene and metallic leather low top trainers from MICHAEL MICHAEL KORS. 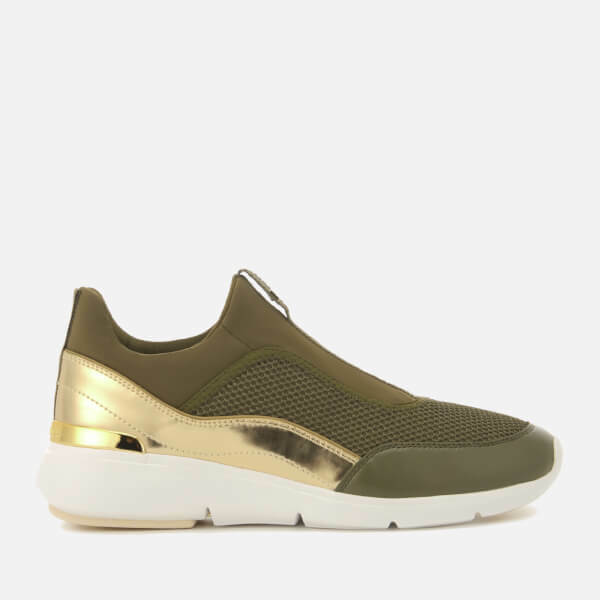 Crafted with cream neoprene sock-like uppers, the ‘Ace’ sneakers are detailed with a round toe silhouette, a mesh overlay panel and gold-tone metallic leather around the heel. 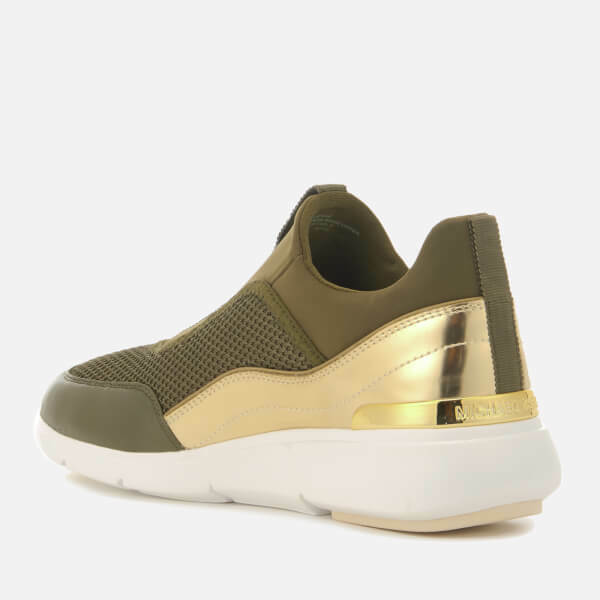 Set on a white rubber sole, the trainers are complete with tonal grosgrain pull tabs on the tongue and heel, and a branded gold-tone heel counter.